ESO Supernova Exhibition — What is a gravitational lens? 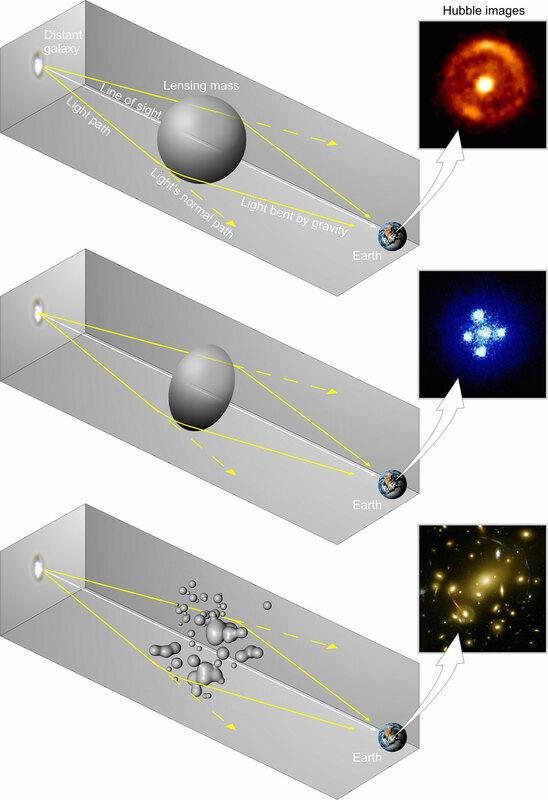 What is a gravitational lens? The gravity of galaxies and clusters can distort and magnify images of distant objects behind them. This is called gravitational lensing and it is a powerful tool for astronomers. 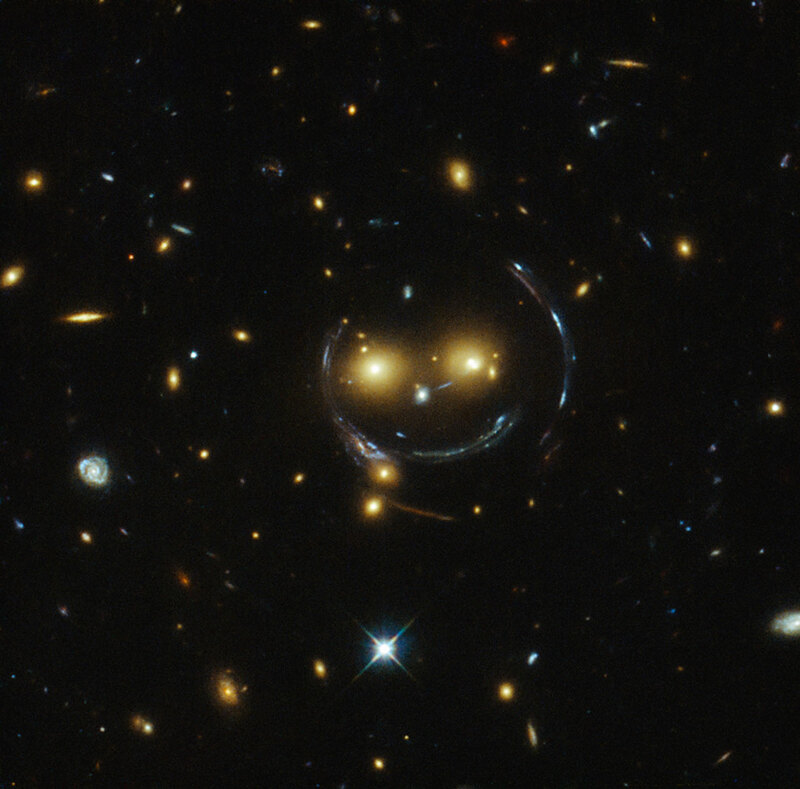 Happy lensing: The light of distant galaxies is smeared out into arcs by the gravity of a small cluster, creating a cosmic smiley face. Einstein cross: Four separate images of the same remote supernova are seen in this Hubble photo. 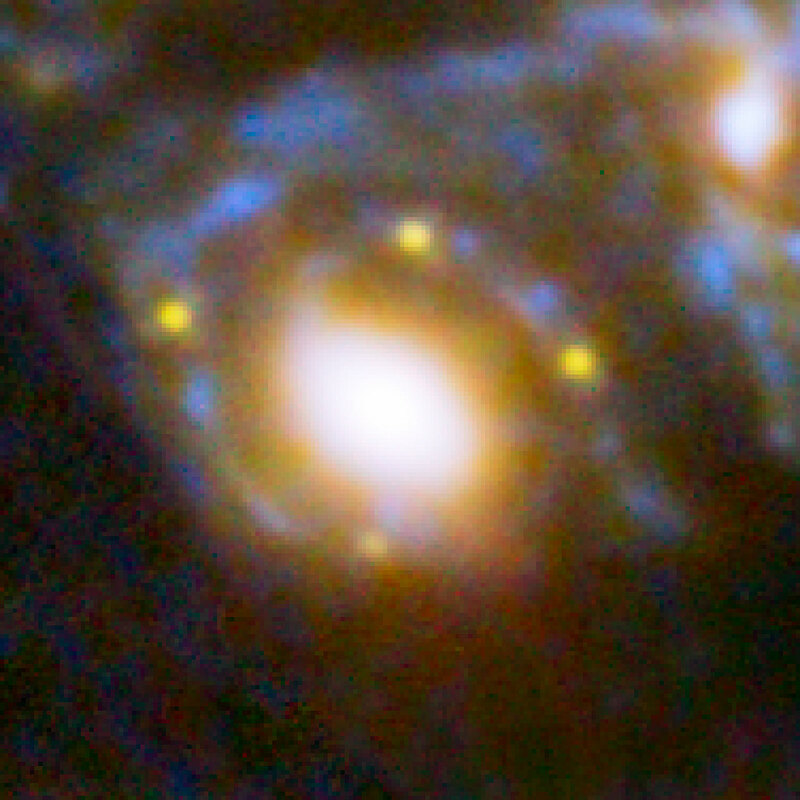 The supernova’s light is lensed by the foreground galaxy. Albert Einstein predicted that the bending of light by gravity would produce gravitational lenses. However, it wasn’t until the 1970s that the first gravitational lens was discovered. Today, the effect is observed regularly, in particular with the Hubble Space Telescope. Extremely remote galaxies can be studied in more detail when their images are magnified by the gravity of a galaxy cluster that happens to lie between us and the distant galaxy. 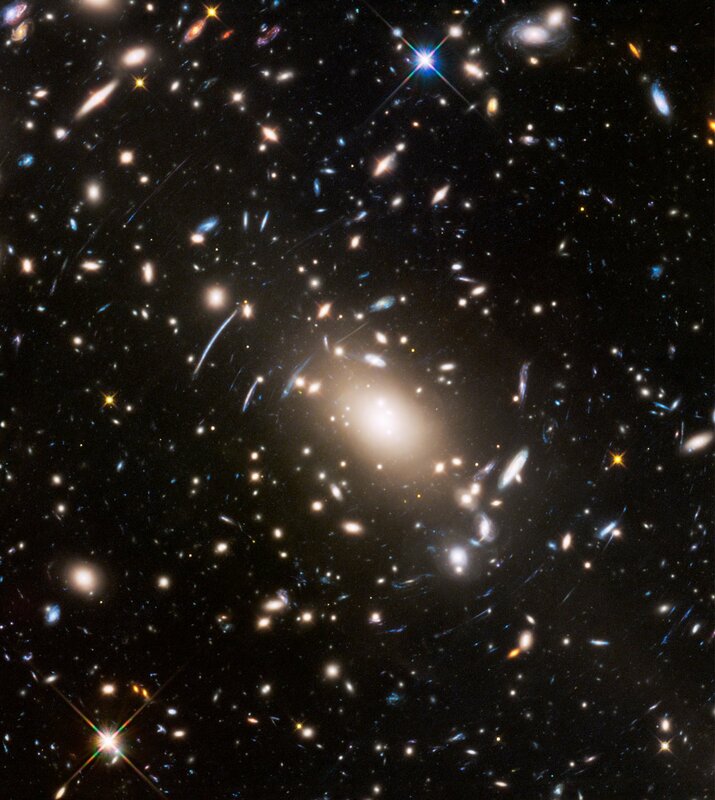 Gravitational lensing also makes it possible to study the distribution of matter, both luminous and dark. Where’s the mass? 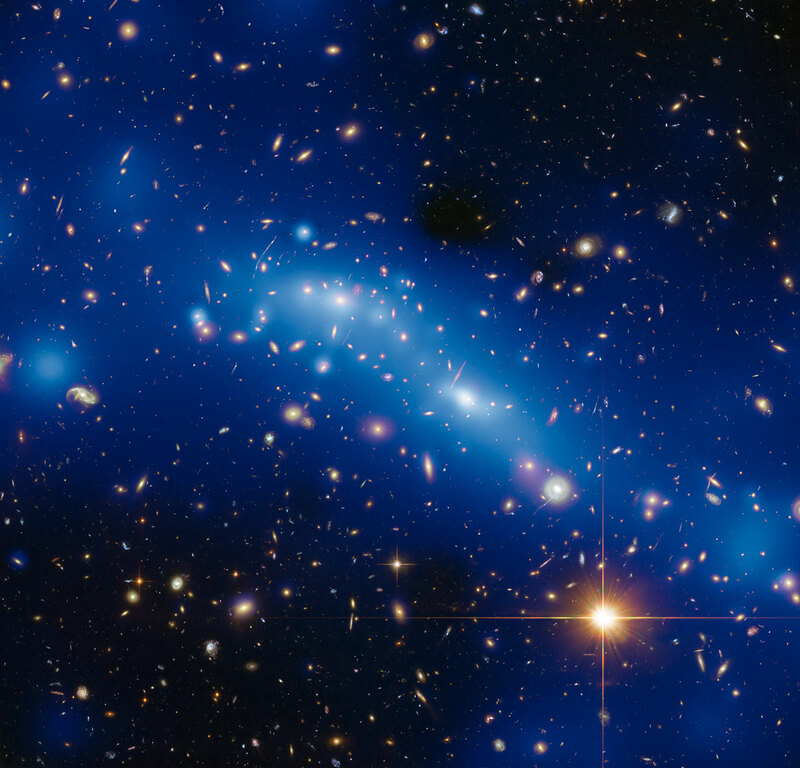 Based on the amount of gravitational lensing, astronomers have created a map (blue colour) of the distribution of mass in this galaxy cluster. Bent light: Depending on the shape of the intervening object, gravitational lensing can produce rings, Einstein crosses or arcs. Have you ever observed the world through a glass of water? Everything looks distorted. The same happens in space: light is bent — and intensified — by gravity!